Personalized services for your needs. You can trust our company to provide fast and accurate realtime captioning. Each client is a partner when deciding on valuable solutions. Our goal is always 100% satisfaction and our professionalism is beyond reproach. Whether it’s in a convention center, a classroom, or the boardroom, you are in great hands with Caption Pros. 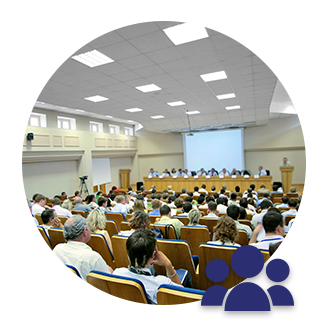 For large or small conferences and conventions, your words can be projected on a screen alone or open captioned with video. Providing live captions gives your attendees a second chance to grasp the message by allowing them to read what has just been said. Promote a better understanding and increase the impact of your message with live on-site event captioning. If you have a long event, our team can seamlessly change captioners mid-event to ensure accurate, top-quality captions until the conclusion of your event. We are experts in technology and medical conferences and are fully prepared to caption these types of events. We attend rehearsals and provide assistance to your audiovisual team. Caption Pros can serve as a technical liaison for large events with concurrent rooms. Caption Pros provides on-site or remote CART captioning by streaming your words directly to the Internet for instant reading on a mobile device, laptop or tablet. All we need to make this happen is access to your audio feed and a reliable Internet connection. We will work seamlessly with your IT or AV Team. From an audio file, a video file, or after a live event, Caption Pros can provide you with an instant transcript. We translate your spoken words using computer-aided transcription. We use realtime editors that allow for editing during a live event. Upon conclusion, we email a fully edited transcript directly to you. Right now a live-streaming revolution is taking place around the world, but millions of people are excluded from it. 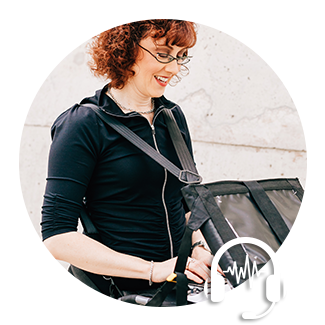 The majority of event webcasts, webinars, and social media live streams do not include captions, and this excludes many people with hearing loss. We provide realtime speech-to-text translation for your event via our Web platform or we can integrate this service directly with your company’s website. Caption Pros provides superior quality captioning of local and national television programming.